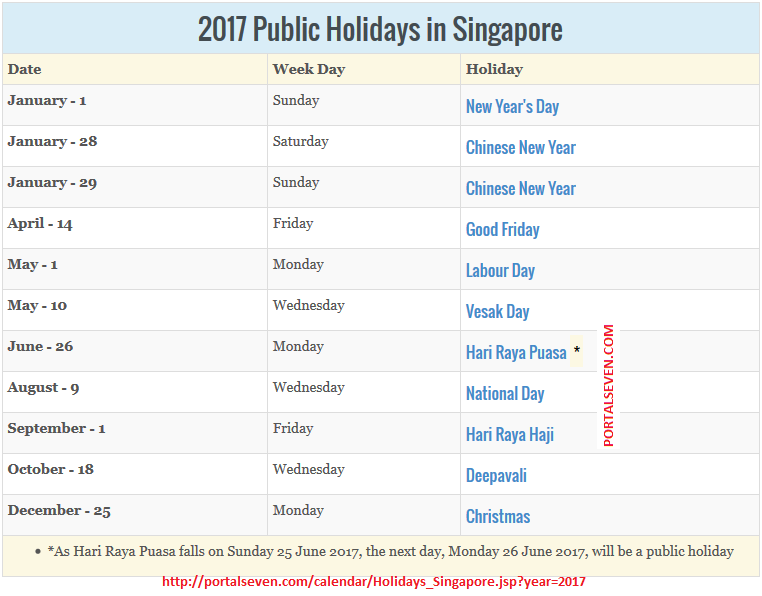 Check 2017 Singapore Calendar with Public Holidays List. Check Terms and Holidays for Primary and Secondary Schools for 2017 declared by Ministry of Education. Check Terms and Holidays for Junior Colleges for 2017 declared by Ministry of Education. 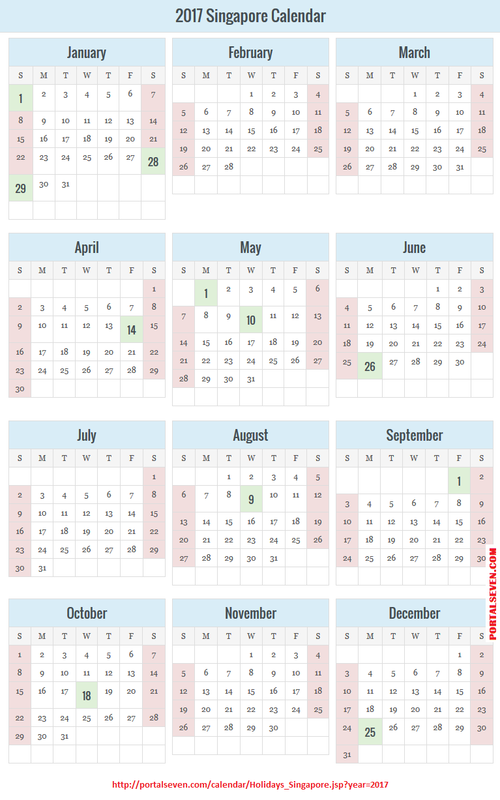 Check Terms and Holidays for Millennia Institute for 2017 declared by Ministry of Education.